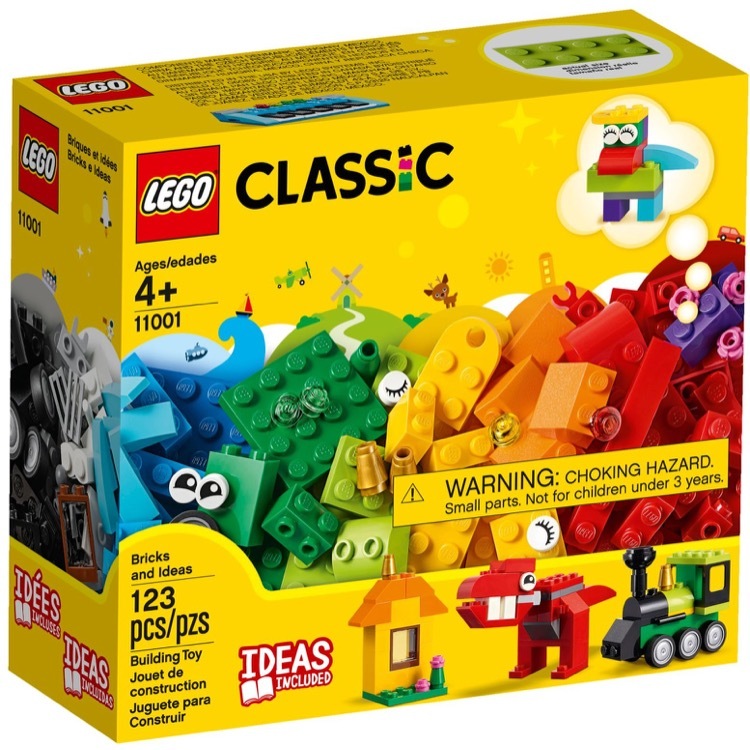 This is a BRAND NEW set of LEGO® Classic 11001 Bricks and Ideas from 2019. This set is still factory sealed and the box is in very good condition with minor shelf wear. 123 pieces and no minifigures©. 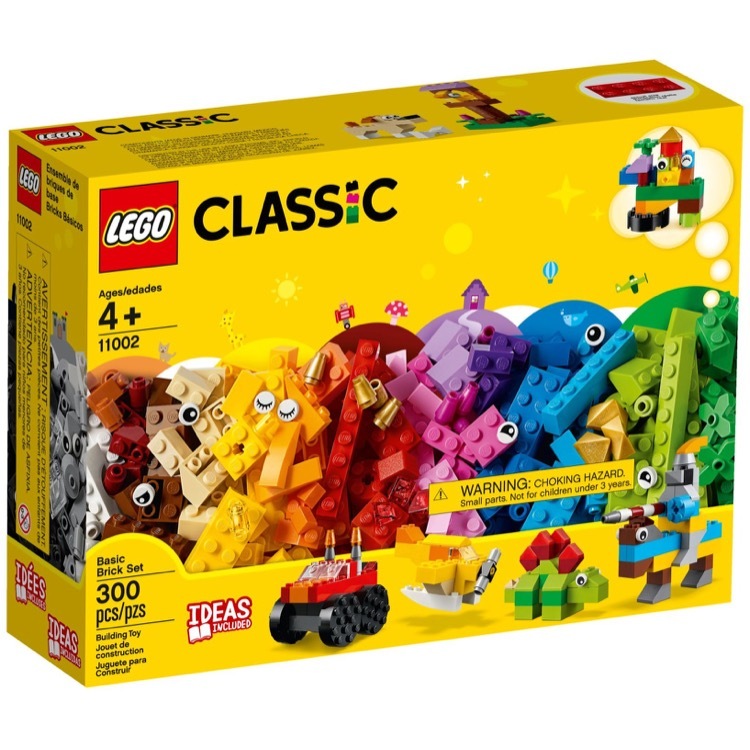 This is a BRAND NEW set of LEGO® Classic 11002 Basic Brick Set from 2019. This set is still factory sealed and the box is in very good condition with minor shelf wear. 300 pieces and no minifigures©. 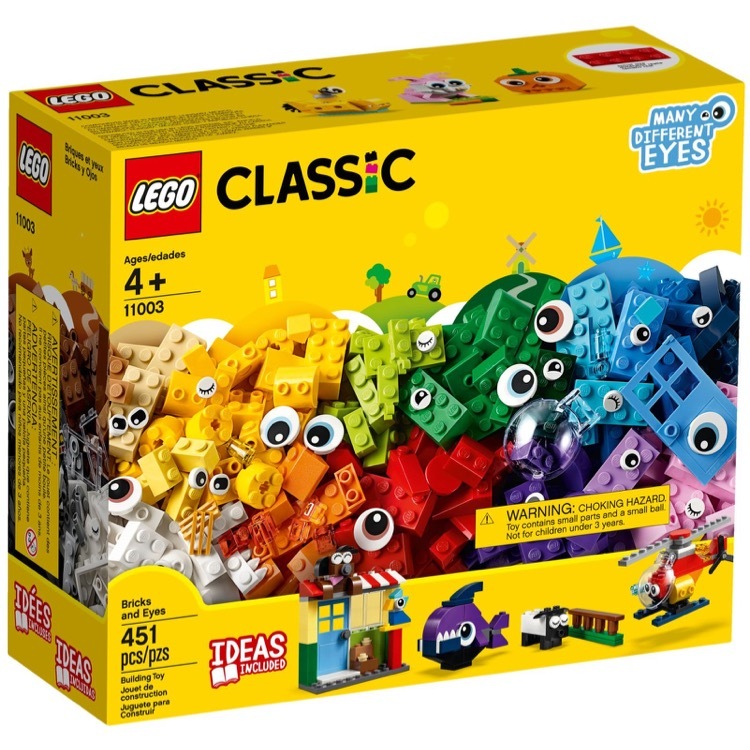 This is a BRAND NEW set of LEGO® Classic 11003 Bricks and Eyes from 2019. This set is still factory sealed and the box is in very good condition with minor shelf wear. 451 pieces and no minifigures©. 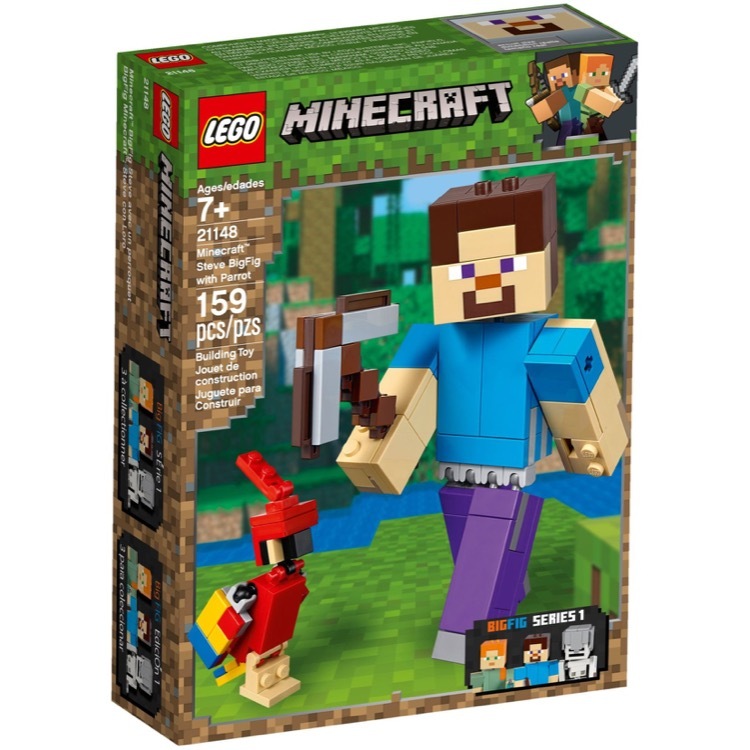 This is a BRAND NEW set of LEGO® Minecraft™ 21148 Minecraft Steve BigFig with Parrot from 2019. This set is still factory sealed and the box is in very good condition with minor shelf wear. 159 pieces and no minifigures©. 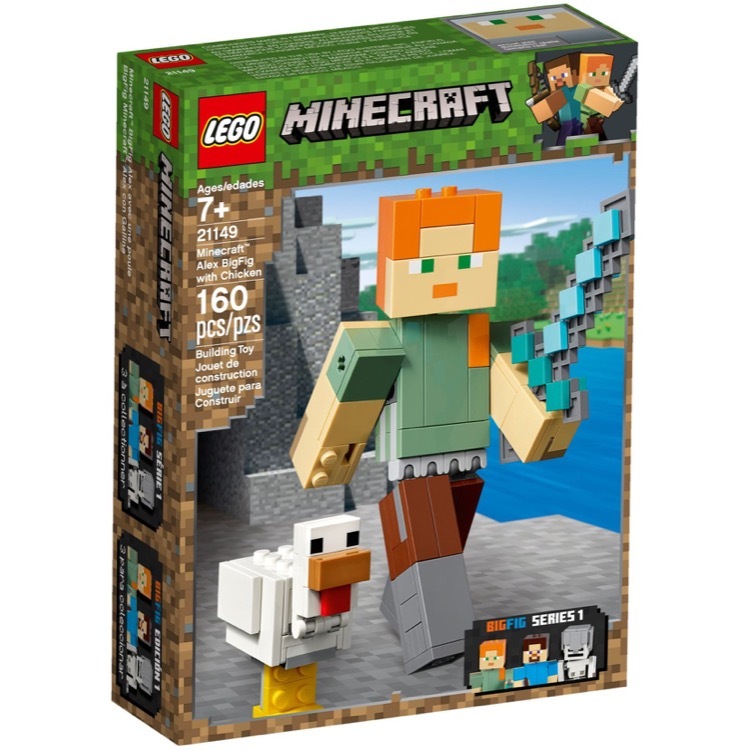 This is a BRAND NEW set of LEGO® Minecraft™ 21149 Minecraft Alex BigFig with Chicken from 2019. This set is still factory sealed and the box is in very good condition with minor shelf wear. 160 pieces and no minifigures©. 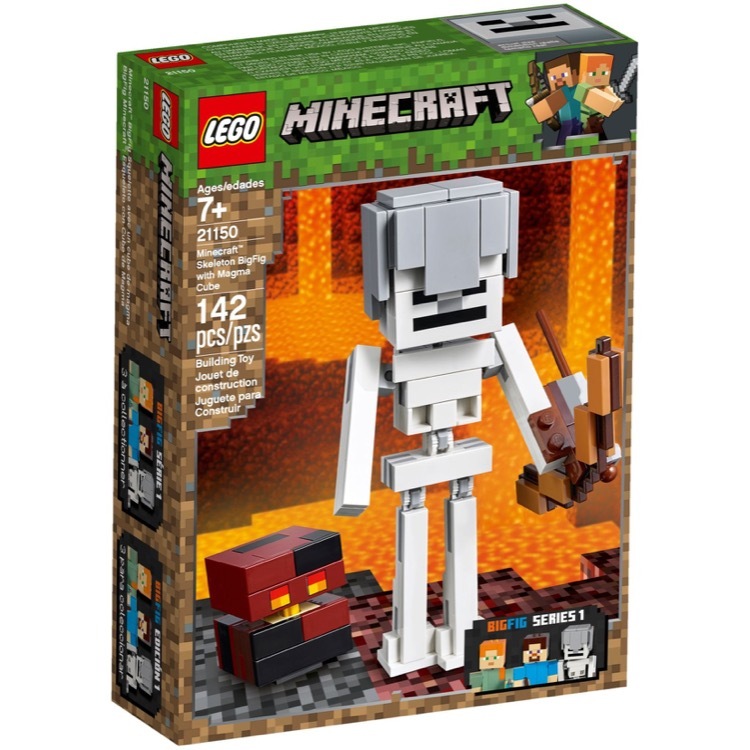 This is a BRAND NEW set of LEGO® Minecraft™ 21150 Minecraft Skeleton BigFig with Magma Cube from 2019. This set is still factory sealed and the box is in very good condition with minor shelf wear. 142 pieces and no minifigures©. 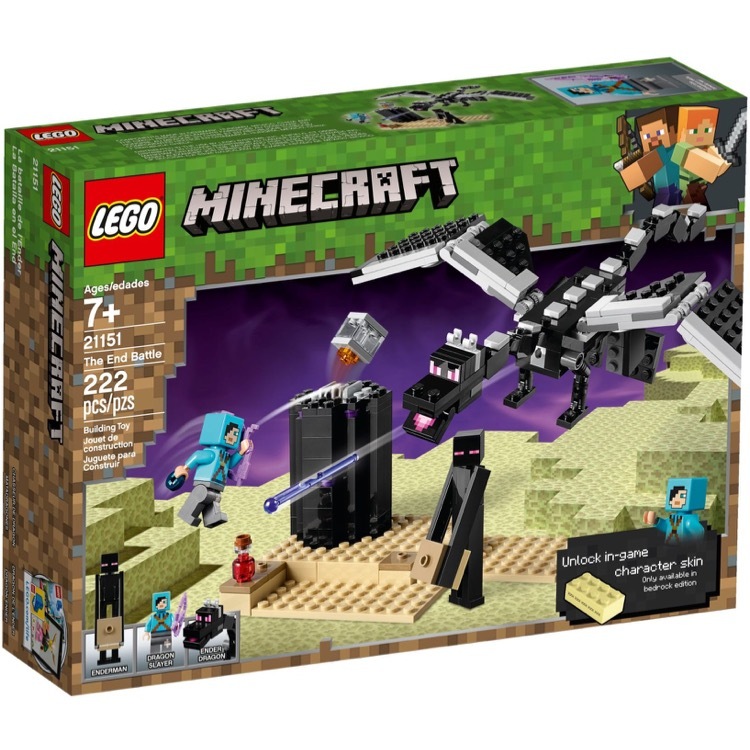 This is a BRAND NEW set of LEGO® Minecraft™ 21151 The End Battle from 2019. This set is still factory sealed and the box is in very good condition with minor shelf wear. 222 pieces and 1 minifigure©. 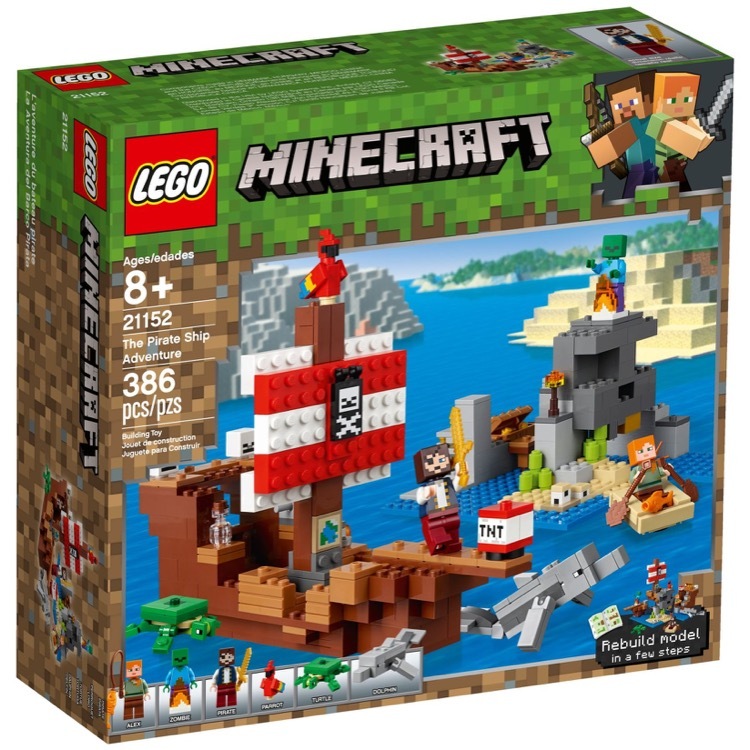 This is a BRAND NEW set of LEGO® Minecraft 21152 Pirate Ship from 2019. This set is still factory sealed and the box is in very good condition with minor shelf wear. 386 pieces and 3 minifigures©. 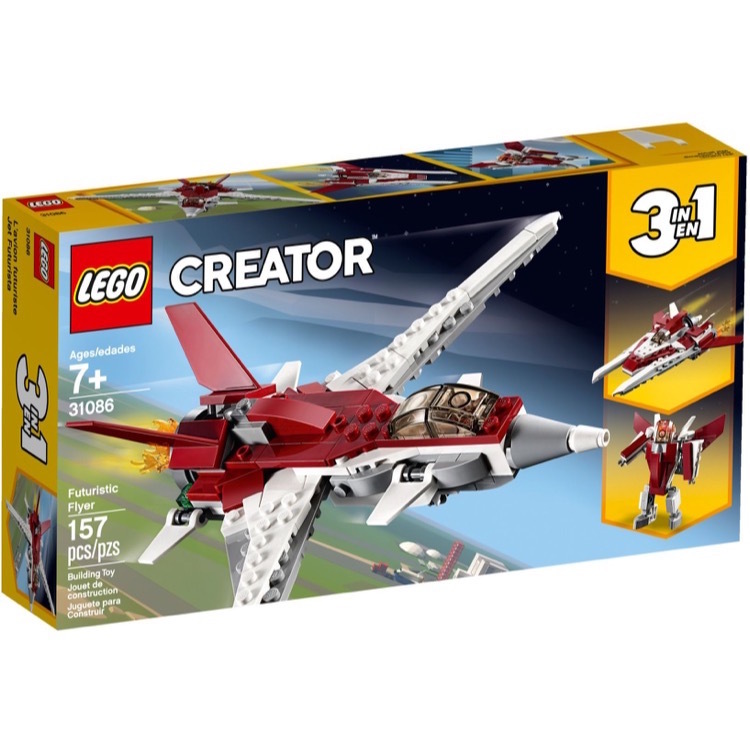 This is a BRAND NEW set of LEGO® Creator 31086 Futuristic Flyer from 2019. This set is still factory sealed and the box is in very good condition with minor shelf wear. 157 pieces and no minifigures©. 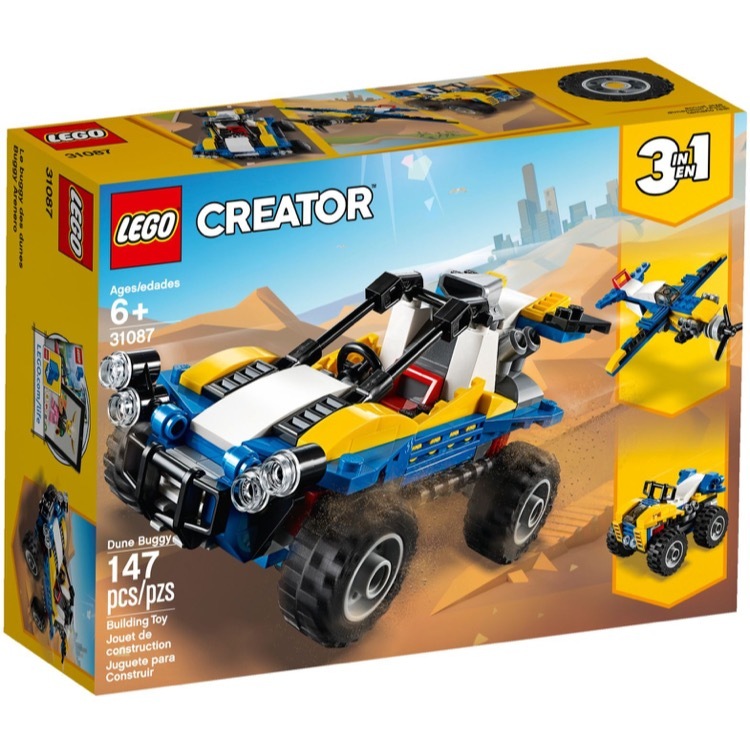 This is a BRAND NEW set of LEGO® Creator 31087 Dune Buggy from 2019. This set is still factory sealed and the box is in very good condition with minor shelf wear. 147 pieces and no minifigures©. 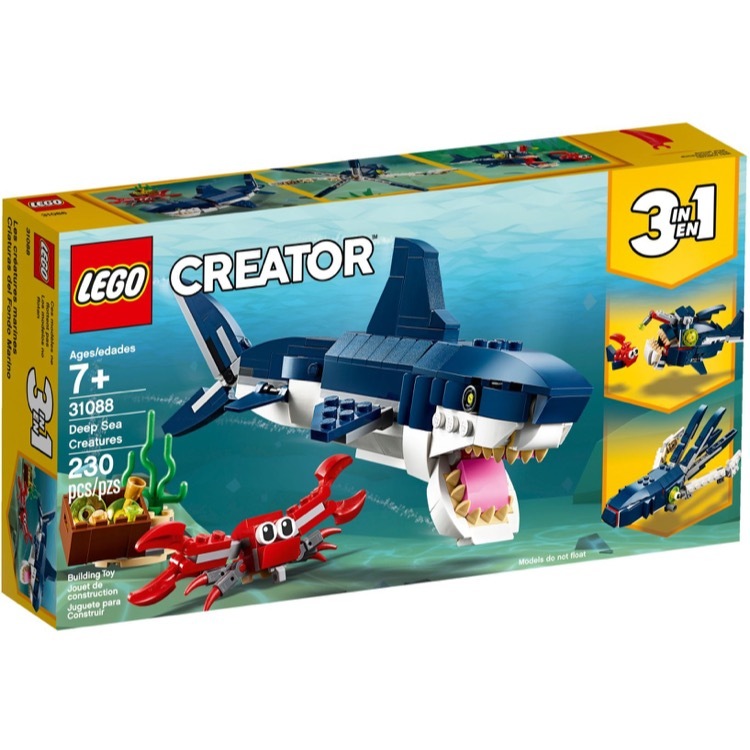 This is a BRAND NEW set of LEGO® Creator 31088 Deep Sea Creatures from 2019. This set is still factory sealed and the box is in very good condition with minor shelf wear. 230 pieces and no minifigures©. 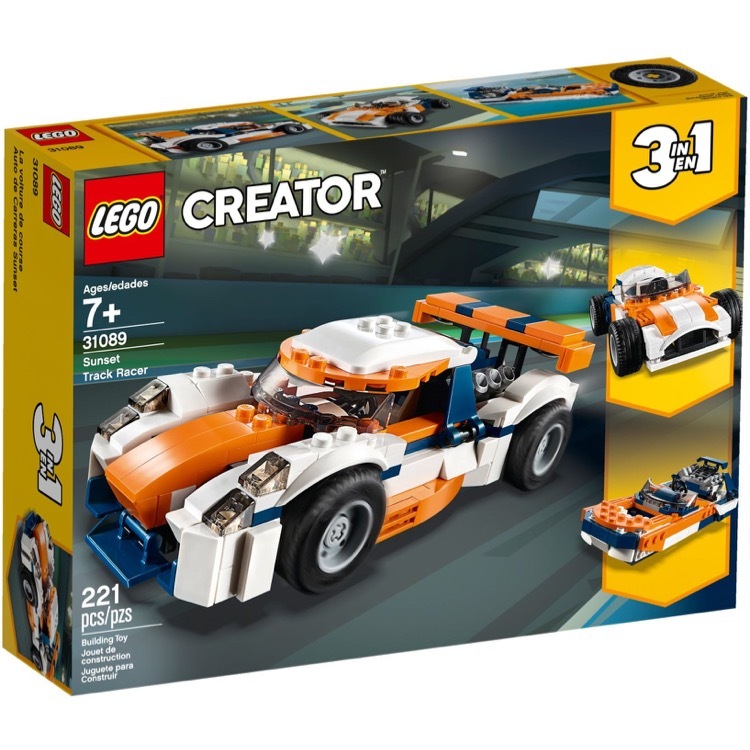 This is a BRAND NEW set of LEGO® Creator 31089 Sunset Track Racer from 2019. This set is still factory sealed and the box is in very good condition with minor shelf wear. 221 pieces and no minifigures©.